New Delhi, India – 04 June 2018: Cassava Fintech and Comviva have jointly won the East Africa Com Award in “Fintech Innovation Award” category for EcoCash Merchant Payments powered by mobiquity® Money. The award was presented recently at Radisson Blu Hotel in Nairobi, Kenya. This was the inaugural edition of East Africa Com Awards, where 6 awards were presented. EcoCash Merchant Payments extends the success of EcoCash beyond money transfer and airtime recharge. It allows EcoCash users to pay at a variety of merchants ranging from supermarkets to small businesses and overcome the cash crunch and change problem prevalent in Zimbabwe. EcoCash offers multiple options for merchant payments. Customers can pay to merchant by entering merchant code and payment amount in EcoCash app or USSD menu on their mobile phone. Customers can use EcoCash Debit Card to pay at point of sale terminals. For online payments customers can use the virtual card. EcoCash has also launched ‘tap and go’ NFC payments with EcoCash ta service, which equips customers with a NFC sticker and merchants with a portable NFC POS device. All these services have helped to digitize day-to-day payments in Zimbabwe and reduce the dependence on cash. The impact of EcoCash has been phenomenal – 70% of the country’s day-to-day commercial transactions are made through EcoCash, and moving the country one step closer to achieving their goal of being a cashless society. East Africa Com Awards celebrate the achievements of the people and companies at the forefront of digital transformation in East Africa. The award recognizes individuals and organizations that have innovated to bring digital disruption and benefit the people of the region. EcoCash merchant payments are powered by Comviva’s mobiquity® Money platform. mobiquity® Money delivers a host of mobile money services that transforms the way consumers save, borrow, transfer and spend money. It is designed to seamlessly integrate consumer touch points with a wide ecosystem of banks, billers, merchants and third-party payment systems, creating a convergence powered by interoperability. Apart from delivering convenience to consumers, the solution enables financial service providers to acquire new customers, create long-term loyalty with existing ones, and seize new revenue opportunities to increase their footprint in the market. 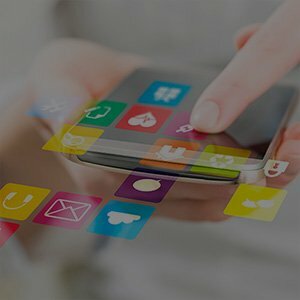 mobiquity® Money empowers financial service providers to be agile in their markets, with complete focus on the customers. mobiquity® Money has clocked over 60 deployments in more than 45 countries. It powers three of the top 10 deployments globally and processes more than 4 billion transactions every year amounting to over $80 billion annually.